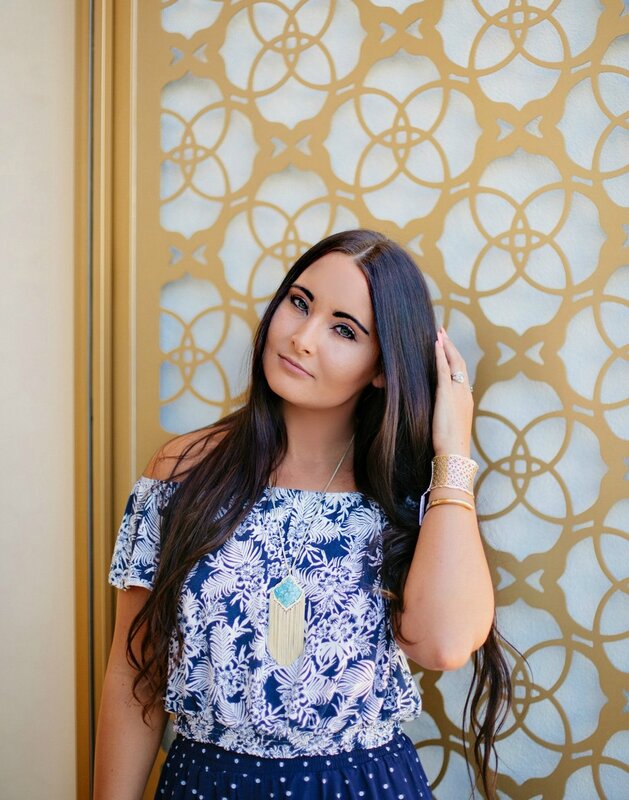 I'm so excited to have teamed up with Kendra Scott to bring y'all the most fabulous giveaway! Kendra Scott just opened a STUNNING new store at the Summit at Fritz Farm here in Lexington. If you haven't had a chance to pop in yet, hurry over to check out all their gorgeous jewelry + prepare to "ooh" and "ahh" over every inch of this beautiful space! The ladies at Kendra Scott have been kind enough to partner with me to give away a Color Bar Party to one lucky follower! Kendra Scott is known for its kaleidoscope of beautiful accessories as well as the innovative and customizable Color Bar experience. The Color Bar lets you mix it, match it, and make it yours! Choose your style. Choose your stone. Choose your metal. Set by hand in minutes in store, the Color Bar by Kendra Scott is where personal style meets instant gratification. The Color Bar Party winner will receive their own private shopping party, a complimentary piece of jewelry (up to $80), and all of their guests will receive a 15% discount on all purchases! There will be some sips + sweets available too while y'all customize, and I will be in attendance to help you style + choose your pieces! 3. Tag 3 friends in the comments on our Color Bar Party giveaway photo. 4. Good luck! Winner will be announced after the giveaway closes Friday, June 2nd at midnight!